Lemon Grove School District showed some of the highest overall gains since 2015 among San Diego County districts, even though its current scores are still below the state average. Lemon Grove’s English scores rose by 12 percent and its math scores rose by 9 percent since 2015. Overall in English Language Arts we met our LCAP goal of 46%. We also had the highest gain (12%) of any district in San Diego County from 2015 - 2018. In addition, our Economically Disadvantaged, African American, Filipino and Hispanic student groups are equal to or above the state and county student performance averages. 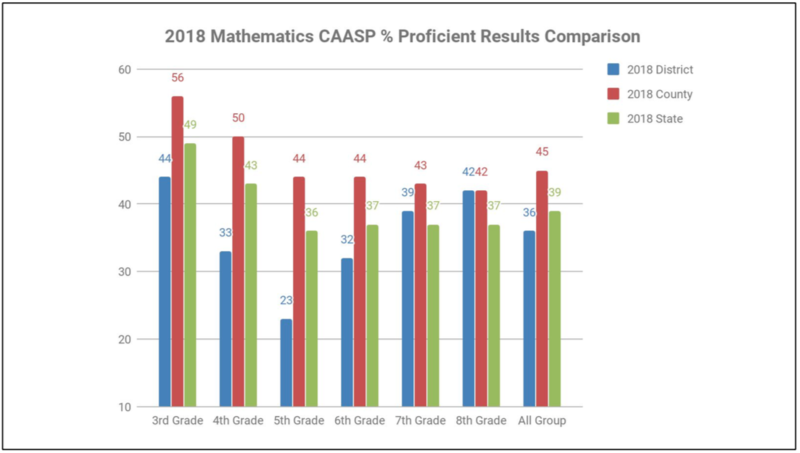 Overall in Mathematics we came up short in meeting our LCAP Goal of 40%, but made the highest gains (9%) of any district in San Diego County from 2015 - 2018. 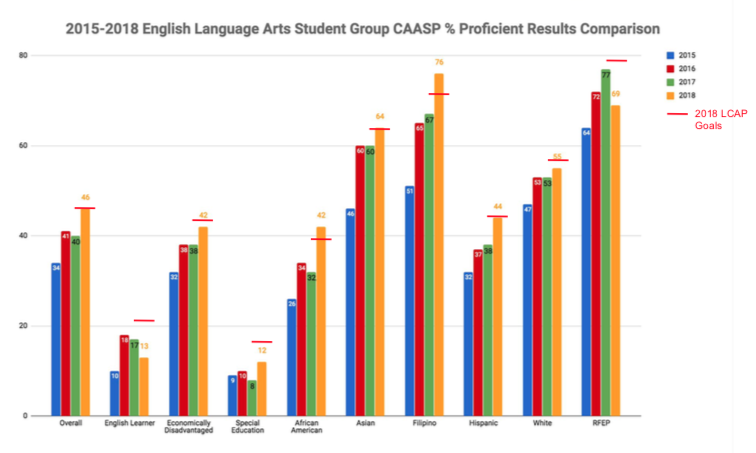 In addition, our Economically Disadvantaged, African American, Filipino and Hispanic student groups are equal to or above the state and county student performance average. 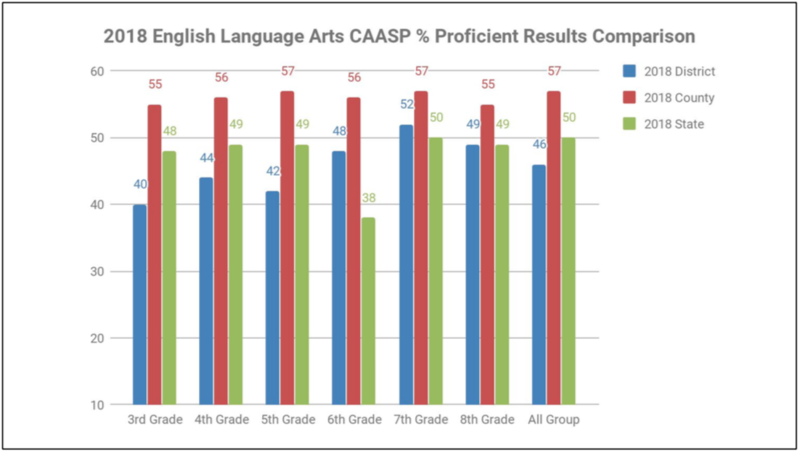 Overall in English Language Arts, we have begun to narrow the achievement gap in comparison to state and county student performance averages. In 2017, our district was 9% points below the state average and 16% below the County. This past year we narrowed the state gap to 4% and county gap to 11%. In addition, our 6th and 7th grade students surpassed the state average and our 8th grade students are on par. 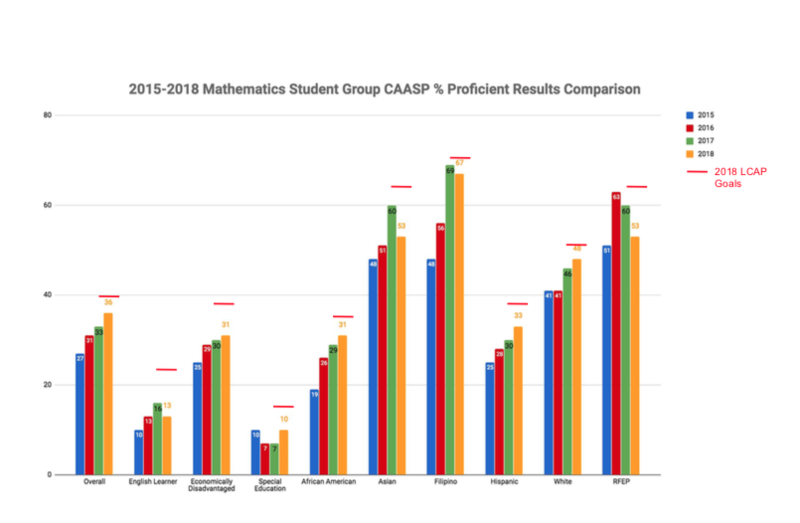 Overall in Mathematics, we have begun to narrow the achievement gap in comparison to state and county student performance averages. In 2017, our district was 5% points below the state average and 11% below the county. This past year we narrowed the state gap to 3% and county gap to 9%. In addition, our 7th and 8th grade students surpassed the state average and our 8th grade students are on par with the county.